One of my all time favourite places to photograph has got to be London! It’s so diverse and being only a 30 minute train journey from where I live it seems crazy not to go in search of some interesting angles. Recently me and my Dad took a trip to St James’ park in London. The weather was pretty miserable, a trend in these past couple of weeks, but I was keen to get out and use my GoPro that I got given for my birthday. I have used it before briefly but this was a really good opportunity to see what it could do. This added with the fact that most squirrels will come straight to the hand, looking for food, made me want to start shooting some low angles at the squirrel’s eye level. When we got to the park it was fairly busy for a rainy day but we managed to find a sheltered spot to get set up before heading out. 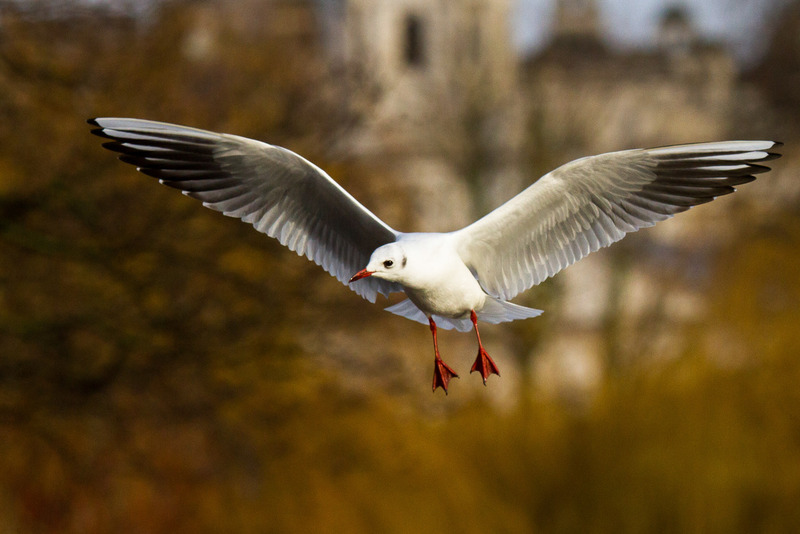 The first port of call were the black-headed gulls that were being fed from a bridge crossing the middle of the lake. Here tourists could be seen throwing food in the air and watching the gulls catch it in mid-air. It was like watching an aerial dog fight as the more dominant gulls would swoop in stealing most of the other gulls catch. As the gulls were all spread trying to grab the next morsel of food, it meant that I was able to photograph individuals in flight that were swirling around waiting for the next piece of food to be thrown into the air. After a few attempt’s I got something that I was looking for. Photographing the gulls took up most of the morning so we headed of to grab something to eat around 11ish. I then concentrated most of my time trying to film the squirrels up close and personal with the GoPro. It was easy enough to get their attention but the trouble was maintaining their attention, once they realized there was no food they would scamper of in search of better luck. 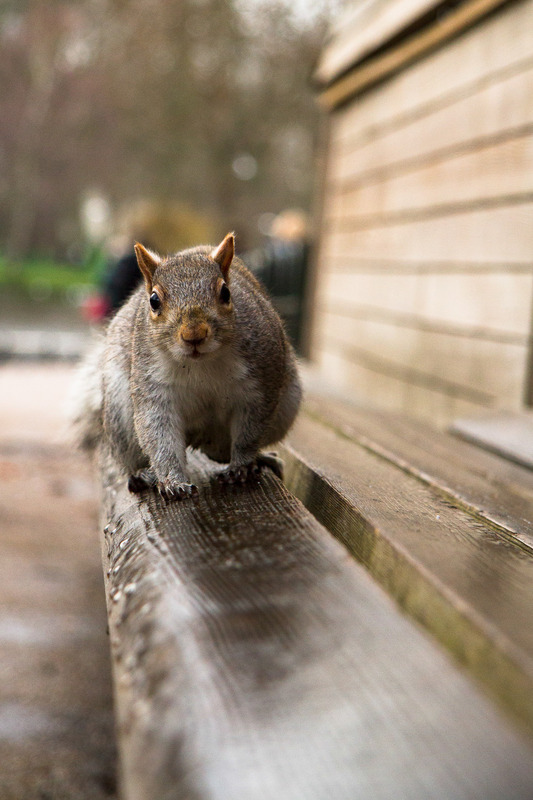 One of the squirrels coming to check out the camera. 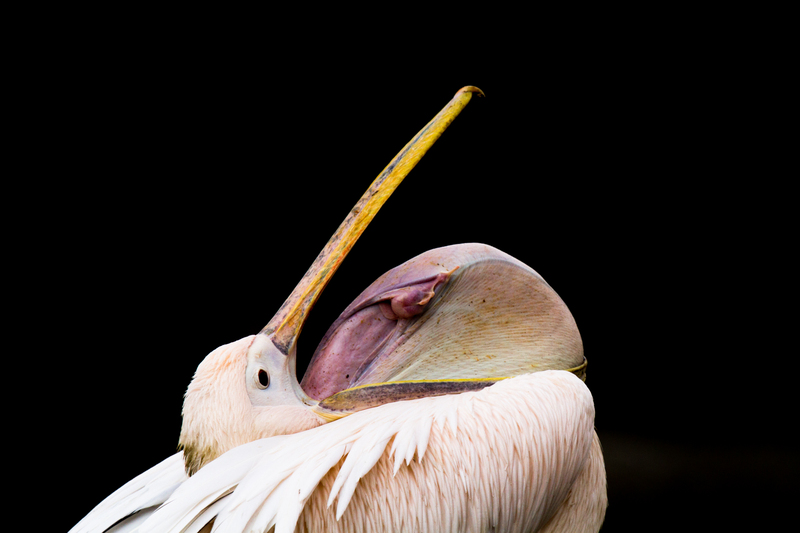 But the real stars of the show are the four Eastern White pelicans that live in the park. They defiantly attract their fair share of tourists and will often come pretty close to tourist. When we got there they were all sleeping, but we waited a while and managed to catch them waking up. It was quite peculiar as they would start honking to each other and opening their beaks to reveal a huge flap of skin which they use to catch fish in the wild. The shot below was one of my favourites showing just how large the flap is. To finish off we headed to Southbank to grab some late lunch. It was there that I took a show of a quintessential British landmark with one of London’s most common residence, the black-headed gull.